… was launched by Ministers of Tourism from both Lesotho and South Africa. Jive Media was commissioned by the Maloti Drakensberg Transfrontier Project (MDTP) to produce this book, which we then conceptualised, researched, wrote, edited and co-published. The book aims to promote sustainable tourism as a livelihood in the Maloti and Drakensberg Mountain region – spanning Lesotho and three provinces in South Africa. “GOING to the Berg” is a regular part of life for many people in KwaZulu-Natal. Most of them head off to places they already know, or that friends have recommended. 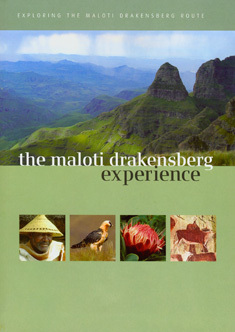 But there is a new book, The Maloti Drakensberg Experience, which should make them have another think — it covers the Maloti Drakensberg Route, both in South Africa and Lesotho, and is full of suggestions of places to go and things to do in an area that covers the mountain kingdom and extends from Elliot in the south to Bethlehem in the north, Howick in the east to Wepener in the west. 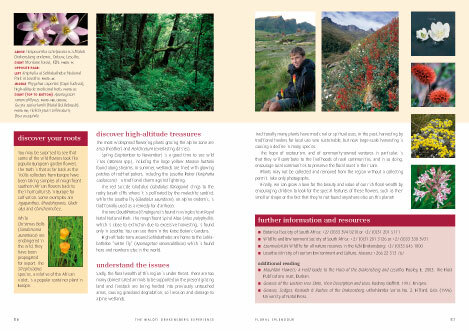 The book has come out of the Maloti Drakensberg Transfrontier Project which itself grew out of the Giant’s Castle Declaration, signed 10 years ago by the governments of the two countries, looking for ways in which they could work together to safeguard the beautiful mountain region from a conservation and development point of view. “They were looking for ways to balance the needs of everyone who lives in or comes to the area,” says Robert Inglis, one of the editors of the book. It was not only a case of conserving the natural environment, but of guaranteeing the continuity of one of the region’s greatest assets — water. Already it supplies 50% of Gauteng’s water — a proportion that is set to rise over the next 20 years. Early on in the project, it was realised that tourism was going to be an important way of creating livelihoods in the region. Leonore Beukes came on board as the tourism specialist, and decided a book would be a great tool to get people into the area and to market all that it offers. 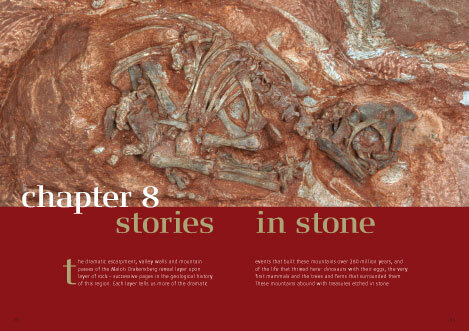 Jive Media, the company Inglis runs with his wife, Hilary Kromberg, was approached to handle the book and they brought in a number of specialist writers and contributors for the various fields covered. 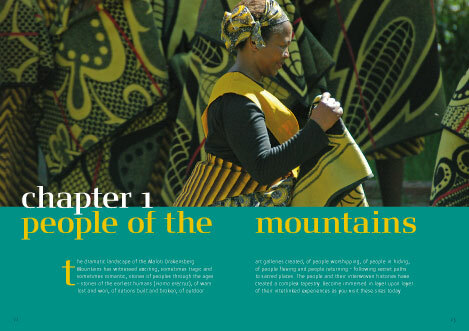 It is a highly visual book, with photographs from a number of top photographers, and it prompted the Lesotho Minister of Tourism to say at the launch that she had not realised how beautiful Lesotho was until she saw the book. Inevitably, in any tourist guide, things change and regular updates are needed. 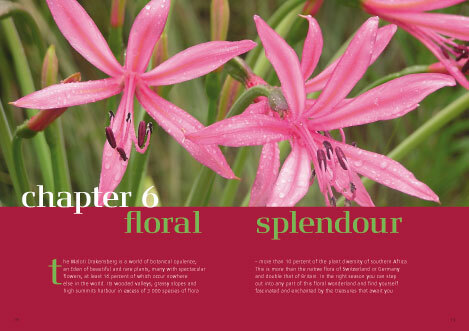 There is a directory section at the back of the book that covers activities and places to stay, eat and shop. There is also a section on festivals that range from the Roof of Africa rally to Splashy Fen and the Ficksburg Cherry Festival. Inevitably, restaurants come and go, places to stay change and there will always be additions and subtractions to be made. There are plans to keep the book regularly updated and perhaps even to have the directory section online and changed as and when needed. 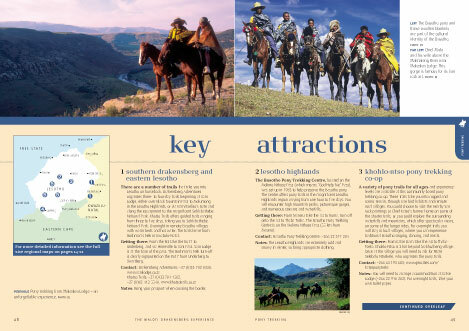 Above all, this is an attractive publication that encourages tourists, whether local or from overseas, to move off the well-known and well-used paths and try something a little different in the whole Lesotho and Drakensberg area.